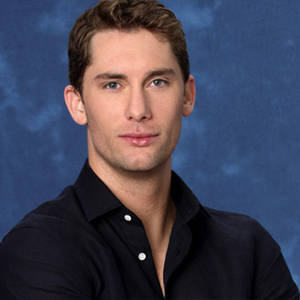 Former The Bachelor 2012 hunk Kalon McMahon is not fond of fellow Bachelor Pad 2012 contestant Erica Rose. He’s been repeatedly rude when it comes to Erica Rose and hasn’t been at all ashamed to let everyone on Bachelor Pad 3 know how much he dislikes her. From the Bachelor Pad 2012 spoilers we’ve seen for this week’s episode, the feud between Kalon McMahon and Erica Rose is only going to get worse. During this week’s rather disgusting ‘hot fudge sundae’ themed challenge on Bachelor Pad 2012, Kalon McMahon takes the opportunity to bash Erica Rose yet again. While in the Bachelor Pad 3 confessional room, Kalon McMahon says Erica Rose will probably excel at the challenge because she can ‘eat her way through it like Pac-Man.’ Ouch! Check out a Bachelor Pad 2012 spoilers video of this week’s gross challenge below. Join us here at SnarkFood.com Monday night for our live Bachelor Pad 2012 recap. Stay tuned for more Bachelor Pad 3 spoilers, gossip, news and more!